The American Prize in Composition recognizes and rewards the best composers in America of works for orchestra, chorus, concert band, chamber ensemble, theater, opera, dance or film that have been publicly performed, or read and recorded. A new, separate category is for works composers themselves would consider "pops" or "light" music. Composers may also wish to apply for the ERNST BACON MEMORIAL AWARD for the PERFORMANCE of AMERICAN MUSIC, being offered in broader categories (including music for orchestra). The deadline for the Bacon contest is in May. Details here. To see 2016 winners in the Orchestra composition division, please click: 2016 orchestra winners. Full 2017-18 results will be posted soon. REVISED preliminary DEADLINE for postmark or emailing of application(s): Wednesday, May 1, 2019. The American Prize in Composition is offered in six divisions: works for orchestra, chorus, concert band, chamber ensemble, theater (including opera, dance and film), or pops, and in two categories, based on your education and experience. You may make application in any division or in all. Works for chorus and orchestra or chorus and concert band performing together should be submitted in the Choral Division. Works composers themselves would consider "pops" should be submitted using the "POPS" application. A. ONLINE PRIMARILY: pay fees online, submit the downloaded application as a PDF file, along with the required emailed information (see application form), include links to performances of your music online. (Please note: We do not accept scores of your music as PDFs. Printed, bound copies of music MUST BE SENT BY MAIL to the office—Why? Read Composer Q&A.) Application forms for The American Prize can be filled out on computer, saved and emailed by using Adobe Reader 11. Download it free here. B. BY MAIL & EMAIL: mail the completed, downloaded application form, send scores, and recordings of your music on disc or tape to the office, and email the required information (see application form), paying fees online, or by check, by money order or credit card. 1. Download the application form for The American Prize in Composition—Orchestra Division (or POPS Division). On the form, select the category which best identifies the applicant. 4. If providing recorded selections of your music BY MAIL, include two identical recordings of the composition(s), with the composer, conductor, ensemble and work clearly indicated both on the recording and on the sleeve or box. Be sure both list applicant's name. 5. All applicants: SEND BY MAIL TWO identical bound copies of each complete orchestral score (no reduced or short scores.) Provide a self-addressed envelope (minimum size 11x14 inches) and proper postage if you would like scores returned. We do not accept PDFs or scores provided by other electronic means. 6. Be sure to sign the form and pay the application fee. Pay ONLINE, if you wish, (click "FEES/GIFTS" in the menu bar, above), or use this link: "Pay competition fees", or send check, money order or credit card information by mail. The application fee is $45 per application.Pay ONLINE (click "FEES/GIFTS" in the menu bar, above) or use this iink: "Pay competition fees" pay by credit card, or make checks payable to HCMT/The American Prize (see application form.) Application fees are nonrefundable. No incomplete applications will be accepted. When paying online, BE SURE to identify the applicant with the payment. 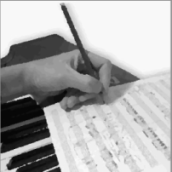 For the 2019-20 competition, there is no restriction as to when the composition was created. 1. MAIL recordings of, or email ONLINE links to, no more than twenty minutes of music per application, unless the composer is applying with a single work of longer duration, in which case the entire work should be sent. There is no minimum time limit. More than one application may be made, if you so desire. Only live performances. No “computer realized” or “synthesized” recordings of acoustic music will be accepted. There are no other restrictions. No scores will be returned without a self-addressed envelope (minimum size 11x14 inches) and proper postage. 2. If sending recordings BY MAIL, performers, works and composer must be clearly identified on the disc and on the cover or video box. We accept DVD, VHS or CD recordings only. No cassette tapes. 3. If submitting ONLINE links to your recordings, include them in your required email. Be sure to identify the links by composer and title of the selection and provide any passwords necessary, so judges can easily access your materials. Links must remain active until results in the category are officially announced. PLEASE NOTE: The responsibility for the viability of links rests with the contestant. Please double-check that they work correctly. Final deadline for postmark or emailing applications, with extensions available by emailed request: Monday, June 3, 2019. Applications will be acknowledged by email.